If you are short on ideas for Valentine’s day and have someone special that you want to impress, here are 7 ideas that won’t break the bank. 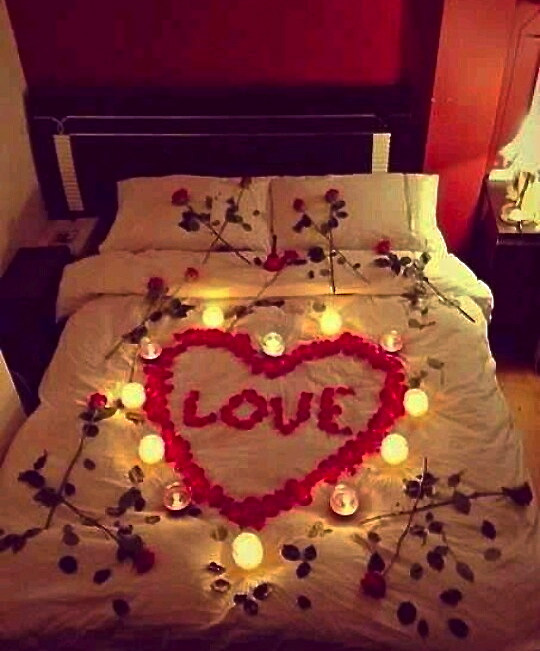 To start out, make sure that you have candles, flower petals, red accessories (blankets, cards, stuffed animals, etc) and perhaps a bottle of their favorite wine! 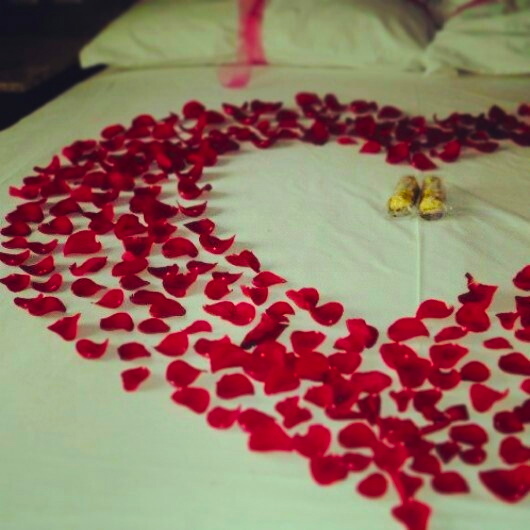 Spread out rose petals in the shape of a heart for a charming and romantic touch that is sure to please ! 2. …and a little more…. 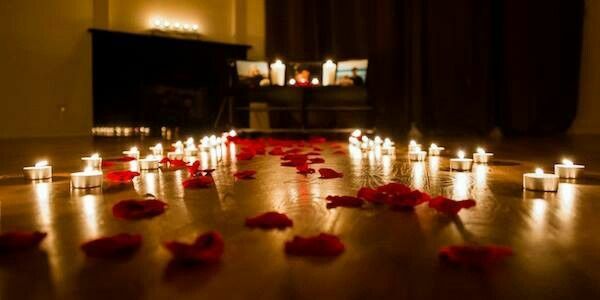 add to the romantic feel by adding candles !!! 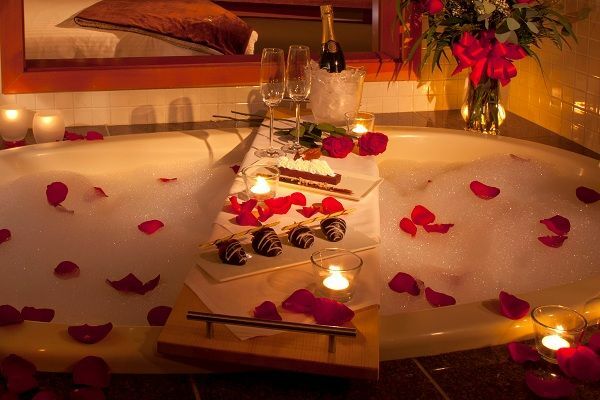 Petals, bubble bath, candles, chocolate, wine… everything to enhance the mood ! 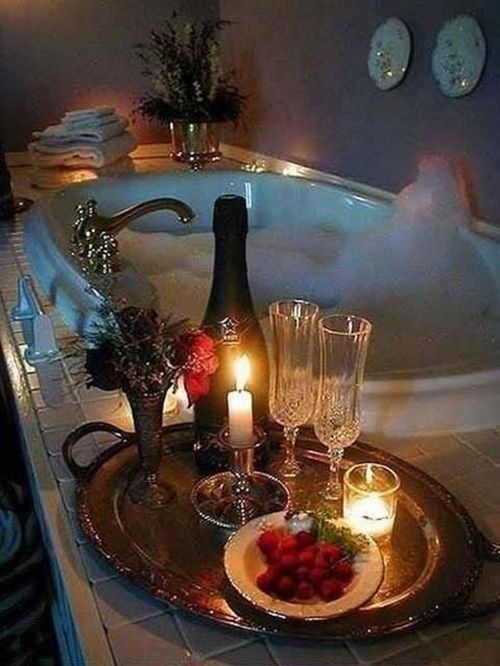 To keep the romantic mood without over decorating, how about a bath with candles, some strawberries and some champagne ! Here’s a fun idea that is sure to bring a smile to their face! 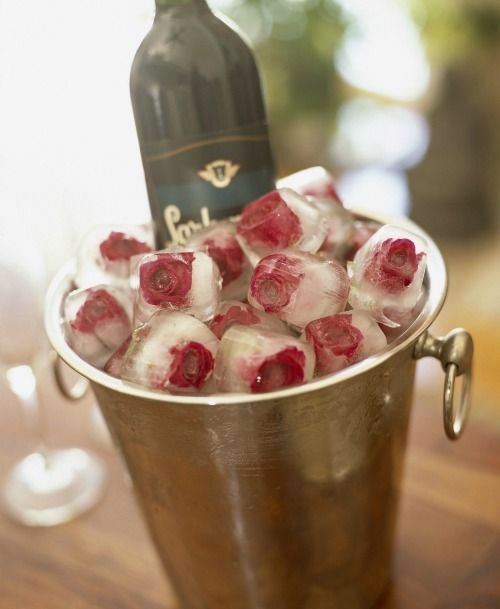 Frozen flowers that will add colour to your Valentine’s celebration! 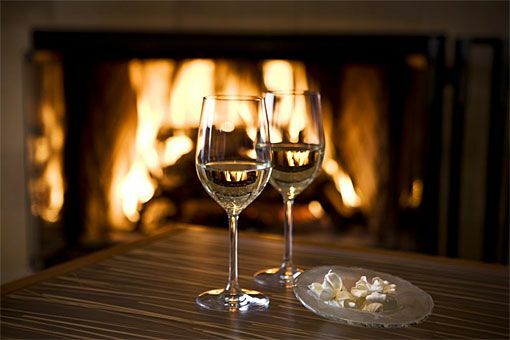 What better a way to show your appreciation than with a delicious, light supper served in front of the fireplace to enhance closeness! Happy Valentine’s decorating to all!